Jacob Needleman’s voice has been prominent in the conversation about man’s inner possibilities for some forty years. Turning away from a career in medicine while at Harvard, he became a philosopher. He has been on a lifelong quest to integrate the great spiritual and wisdom teachings of the world with how to live the challenges of everyday life, writing books on love, time, medicine, and psychiatry. In his quest, Needleman realized almost a decade ago that embedded in our relationship with money lay many of the answers to the great questions about who we are. Money seems so real to us, he says, because "the conditions of life in our culture do not support inner experiences ... that are as vivid as experiences of the outer world ... . See full. Jacob Needleman’s voice has been prominent in the conversation about man’s inner possibilities for some forty years. Turning away from a career in medicine while at Harvard, he became a philosopher. He has been on a lifelong quest to integrate the great spiritual and wisdom teachings of the world with how to live the challenges of everyday life, writing books on love, time, medicine, and psychiatry. In his quest, Needleman realized almost a decade ago that embedded in our relationship with money lay many of the answers to the great questions about who we are. Money seems so real to us, he says, because "the conditions of life in our culture do not support inner experiences ... that are as vivid as experiences of the outer world ... . And as money has become the principal means for organizing contact with the outer world, there is nothing more vivid—for most of us—than the question of how to have, get, make, accumulate money. No fear greater—for many of us—than the fear of not having money." Ironically, though, Needleman writes that "the first practical step that an individual can take to free himself from the thrall of money is not to turn away from it, but to take it even more seriously, to study himself in the very midst of the world of money, but to study himself with such diligence and concern that the very act of self-study becomes as vivid and intense as the desires and fears he is studying. 'The truth shall set you free,' not because it will give you explanations, but because the conscious experience of the truth, even when the truth is hellish, is itself space and light and contact with a higher world. ... The other world, the 'higher' world, is, as Rilke tells us, this world consciously experienced." 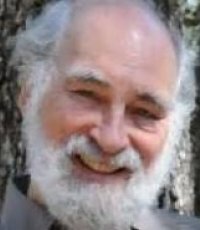 Needleman is emeritus Professor of Philosophy at San Francisco State University, former Visiting Professor at Duxx Graduate School of Business Leadership in Monterrey, Mexico, and former Director of the Center for the study of New Religions at The Graduate Theological Union in Berkeley, California. He was educated in philosophy at Harvard, Yale and the University of Freiburg, Germany. 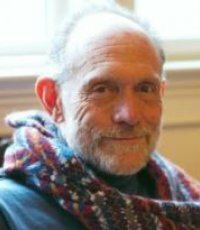 He has also served as Research Associate at the Rockefeller Institute for Medical Research, as a Research Fellow at Union Theological Seminary, as Adjunct Professor of Medical Ethics at the University of California Medical School and as guest Professor of Religious Studies at the Sorbonne, Paris (1992). 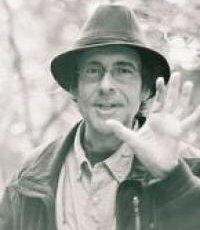 While teaching philosophy, Needleman found himself more and more drawn toward man’s perennial questions. Making a decision not to confine himself to academic writing, he chose to share his own meditations with a broader audience. His book The New Religions, originally published in 1970, was a ground-breaking study of alternative spirituality in America. Many influential volumes followed, including A Sense of the Cosmos, Lost Christianity, The Heart of Philosophy, Money and the Meaning of Life, The American Soul, The Way of the Physician, Time and the Soul, Why Can't We Be Good?, The Essential Marcus Aurelius, ​What Is God?, An Unknown World: Notes on the Meaning of the Earth, and Necessary Wisdom. His conversation with J. Krishnamurti became a chapter in Krishnamurti's classic The Awakening of Intelligence. In addition to his teaching and writing, he serves as a consultant in the fields of business, psychology, education, medical ethics and philanthropy, and is increasingly well known as an organizer and moderator of conferences in these fields. He has been featured on Bill Moyers' acclaimed PBS series, "A World of Ideas." <br />Being asked an inescapable and unanswerable ultimate question of the heart. <br />Opening my front door and seeing for the first time the woman who is now my wife. All real happiness comes from giving, not from getting.